25 years ago, the Belgium-based telematics specialist Transics started providing fleet management solutions for commercial vehicles based on telematics technology as a first-mover. Today, the WABCO company is a European leader in its sector, recently achieving a milestone of 100,000 connected on-board computers in Europe and the Middle East and heading the way to become a global player. The efficiency of such solutions is obvious: Codognotto, an Italy-based international transport and logistics company, recently equipped 130 of its trailers with Transics’ TX-TRAILERGUARD for improved trailer monitoring. Additionally, 670 trailers are planned to be equipped until the end of 2016. On top, Codognotto decided to upgrade its fleet with 400 TX-SKY on-board computers and TX-FLEX, a mobile add-on for optimized monitoring and processing of out-of-cabin activities. 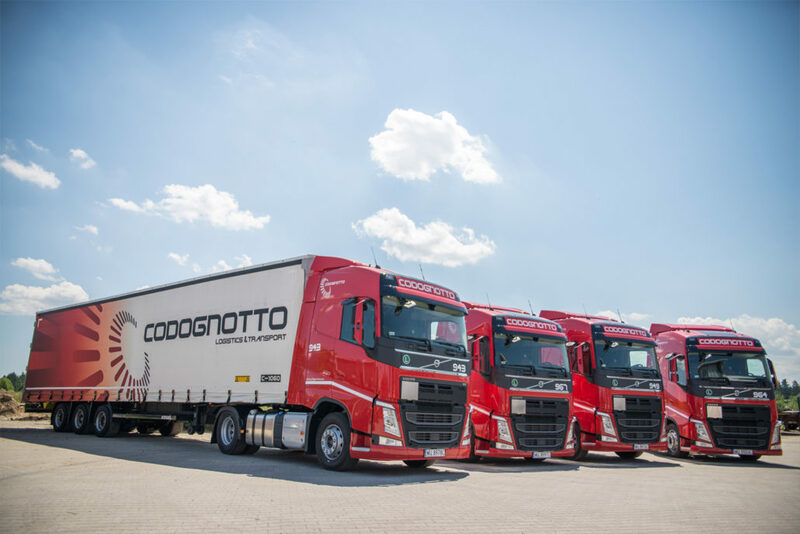 Flavio Codognotto, owner of Codognotto comments: “We are moving 300,000 tons of goods while travelling round about 5,600,000 kilometers every month in 16 countries worldwide. Thanks to Transics, we now have a complete solution for all data on the performance of truck, driver, trailer and cargo, enabling easy monitoring, optimization of processes and analyzing driving styles via one single portal. The integrated solution also alerts our fleet manager in real time in case of a critical vehicle status, such as loss of tire pressure or worn-down brake linings. This results in increased tire and brake lifetime, fuel savings as well as enhanced safety.” In addition, Transics’ solutions help Codognotto to be compliant with regard to legal requirements: Transics’ DigiTach Solutions allow the integration of all tachograph data into the fleet management system – from driver authentication to data archiving. This facilitates avoiding infractions on driving and resting times and meeting the legal requirements of tacho card and mass memory read-outs.